The modernist "TO" line from Issey Miyake was designed by Tokujin Yoshioka, known for his innovative groundbreaking creations and approach to design. He begins with the selection of a material, then extracts its character, minimalizing design elements. 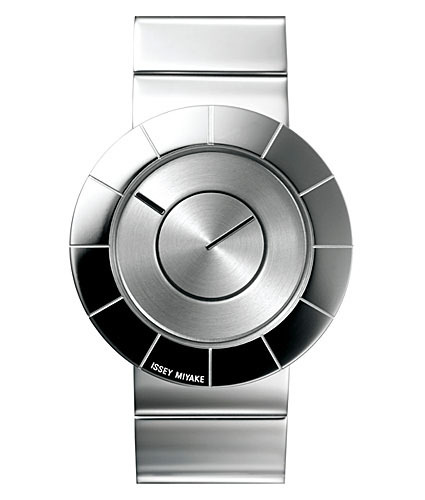 As a result, the watches look as if they were sculpted from a lump of metal. This beautiful watch is present in a metal gift box as pictured on the additional pictures.